Queen Independent during the calypso tents. Basseterre, St. Kitts, 1st January, 2019 (MyVueNews.com) – The 2018-19 National Carnival Senior Calypso Final is one that will stand out in the cultural history of the federation. 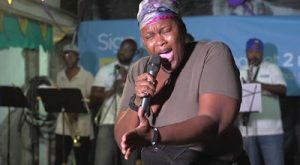 For the first time, female calypsonians were the dominant participants of the competition with six females and two males in contention. In this years show, Queen Independent, with 807 points, convincingly won the competition for the second time. It was in Sugar Mas 46 that she competed in the senior show and won to become the first ever female calypso monarch in the federation. 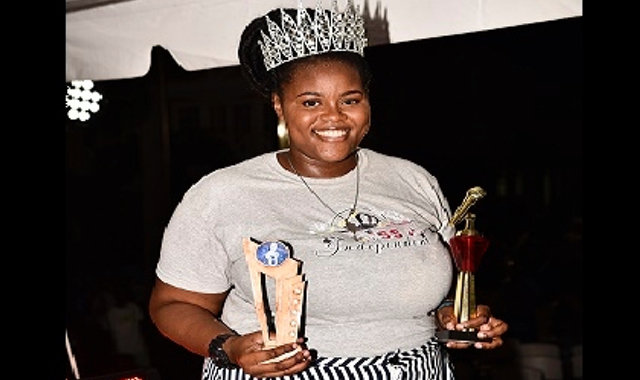 Queen Independent, Karisia Willett, won from a field of seven other calypsonians, of which five were female. The other competitors of the National Senior Calypso Competition were Lil Miss, Queen Kibie, King Godfrey and De Awesome Navigator.